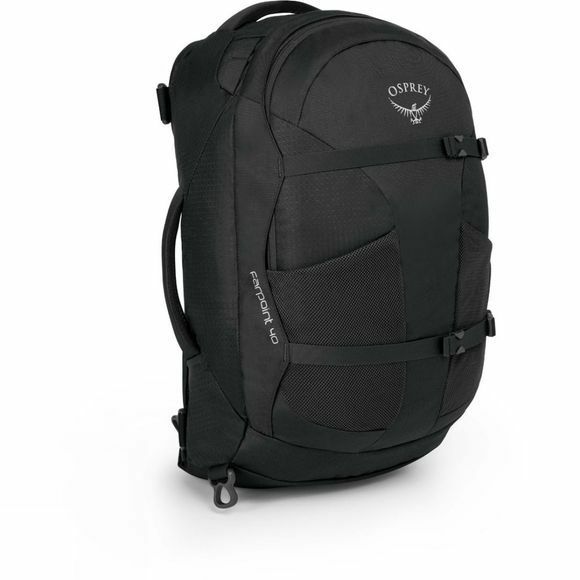 The carry-on member of Osprey's Farpoint family of travel bags, the Farpoint 40 fits in the overhead lockers but swallows a surprising amount of kit. The main compartment is accessed via a panel with lockable zips, and contains compression straps for keeping the gear inside tidy. This continues outside with Osprey's wrap-around StraightJacket compression system, and various pockets – including a large padded one for a tablet or reader – help you keep your essentials to hand. 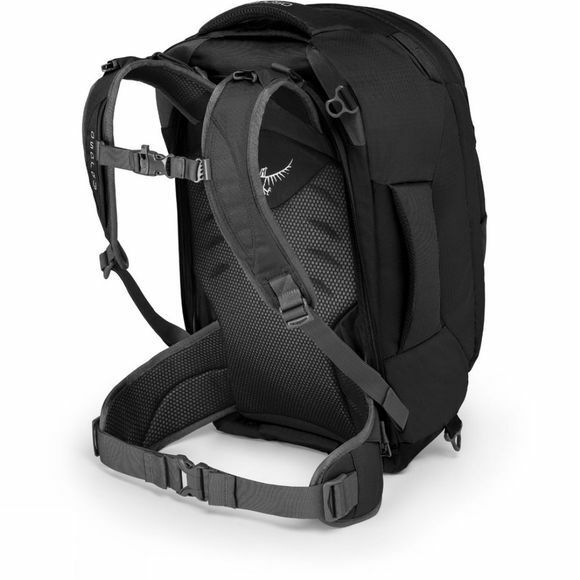 As well as top and side carry handles, the Farpoint 40 sports a zip-away harness for ease of carriage.